Lisa found some lamb in the local grocery store and cooked a lamb roast and stuffing for our Christmas Eve meal. Because we're traveling today, she didn't put on a big feast; however, the roast lamb was excellent and I have no complaints. We watched How the Grinch Stole Christmas while having dinner. Afterwards, we opened presents. 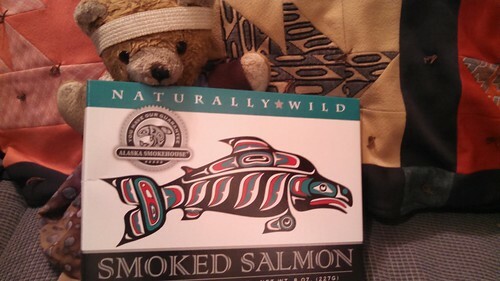 travelswithkuma got fish, as he usually does. We'll all share it when we get home from this trip. 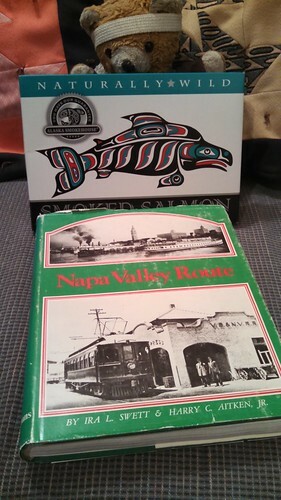 Lisa got me a book about Napa Valley Railroads, including the electrified route that used to be there. Funny how electrification is touted as the new futuristic way when in fact there used to be a bunch of them that were all torn out because of course every person will own a car and those that don't will be happy to ride buses. 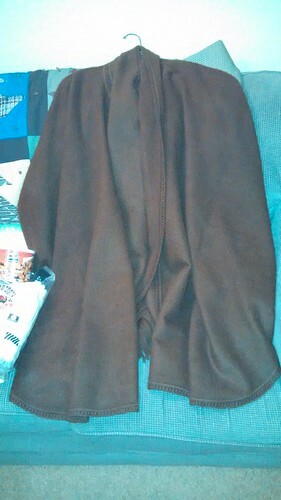 Lisa's present was this alpaca wool cape, which should be useful on cold nights in Fernley, particularly if she goes for a walk with Kuma Bear on her back. 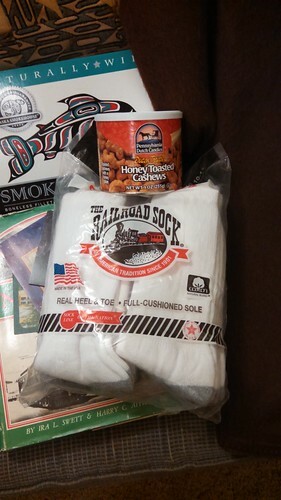 This morning I woke up and found two more presents: socks and a can of honey roasted cashews with a note that said Kuma Bear couldn't find any fishes to give me and do did the bests he could. Once Lisa is up and around and we finish packing, we'll go into Reno, have breakfast, and proceed over the mountains to Yuba City to deliver presents to my sister, nephew, and mother before continuing to San Jose, where we're staying at the Holiday Inn as I check off more goals on their latest promotion. I haven't been traveling to places with IHG hotels enough this last half of the year to be able to collect all of the items on their current promotion, so I won't get the "Big Win" points bonanza that helped us be able to stay in London an extra week on points, but we'll still collect some points that will come in handy for a future vacation trip.